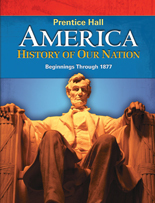 Prentice Hall America: History of Our Nation is the key to unlocking the exciting story of our nation's history for all middle grades students. 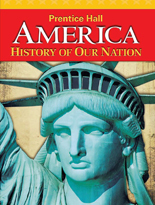 Authors Davidson and Stoff focus on the "why" of history—helping students make meaning of what happened long ago, why it happened, and how it remains important to us today. Every element—from a considerate text-style narrative to stunning visuals—has been designed to make this rich historical content accessible to all students.